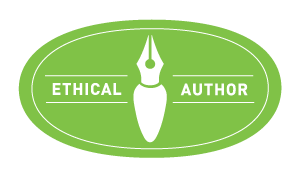 Acquired Book By: Did you ever grow curious about a new publisher who produces science fiction, fantasy, and horror genre selections in both novel length and short stories? Did you ever decide to enquire with the publisher you’ve found to see if they were open to book blogger requests to read and review their selections!? This is the situation I found myself in as I was quite mystified by the offerings of World Weaver Press! Such a delightful discovery on my behalf, and a website full of inspiring reads across SFF! Choosing which book to select for review was a bit tricky, but as I love short stories and in particular short stories within the realms of Fantasy, I elected to select this collection of stories of the fae! I received a complimentary copy of “FAE” direct from the publisher World Weaver Press in exchange for an honest review. I did not receive compensation for my opinions or thoughts shared herein. World Weaver Press is an independently owned publisher of fantasy, paranormal, and science fiction. We believe in great storytelling. Launched in March 2012 in Kalamazoo, Michigan, World Weaver Press is currently based in Alpena, Michigan, owned and operated by Editor-in-Chief Eileen Wiedbrauk. We believe in great storytelling. We believe in challenging genre boundaries and engaging the fundamental human drive to tell stories that resonate emotionally. The way we do it is by partnering with great writers to craft and edit the best fantasy, paranormal, and science fiction stories possible. By creating beautiful, well designed paperbacks and ebooks. By growing their publicity. And by fostering a family of authors excited to work with us. We believe that publishing speculative fiction isn’t just printing words on the page—it’s the act of weaving brand new worlds. Indie publishers are on the cutting edge of encouraging interactive reader to author events, and World Weaver Press has poised themselves to curate one of the most stimulating chats in the twitterverse for booklovers of Speculative Fiction! I’ve been a resident chatterbox in weekly, bi-monthly, and quarterly Twitter chats hosted by a variety of individuals, publishers, authors, and Entertainment Industry outlets as well, however, one of my favourite topics of interest being a writer of SFF myself, is opening up a convo with other readers, book bloggers, writers, editors, and the bookish community surrounding Science Fiction and Fantasy as a whole! I used to frequent the #FantasyChat on Sundays until time became a bit of a barrier for me at that timeslot, wherein the same group who meets-up on the weekends, happily found the same niche of interest I did in #CreatureChat Wednesdays @ 9pm. This is where you can talk dragons, gryphons, and all other sorts of fantastical and mythical wonders of beasts and animals! It’s a broad chat for Fantasy lovers, but I truly can admit, I’ve been seeking out alternatives to talk with others who are keen on SFF as a whole rather than limited by one group of topics. I found several SFF chats on Twitter, but my favourite now is the #SFFLunch hosted by World Weaver Press. Outside of the chat, I had the pleasure of writing a response to one of the writers whose short is included in FAE: Kristina Wojtaszek, who wrote a #DiverseSFF story involving a character of special needs. She was featured on the publisher’s website with a well-writ Guest Post entitled: A Hob, a Mom, and a son with Asperger’s. 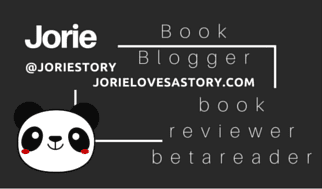 Prior to my review, I started to share my discovery of World Weaver Press on my first entry into a new weekly meme feature I am kicking off on Jorie Loves A Story Summer 2015: 10 Bookish and Not Bookish Thoughts! Likewise, I left a comment on the editor’s blog when she announced books two and three in this continuing series of fantastical mischief and mayhem! Be sure to read my highlights of attending my first #SFFLunch! My interest in the fae and the communities of the faeries grew out of my childhood focused on Speculative Fiction as a whole across different mediums of story-telling. My knowledge of the fae is not as evolved as my love of SFF, but my curiosity has become quite piqued by other authors who are writing compelling and wicked stories of these curious people who are short in statue but not in heart! Truly, it was the anthology collection by another Indie publisher (Seventh Star Press) which first perked my attention to anthological collections of shorts being one of the best gateways into appreciating new-to-me authors of Fantasy fiction. (with an empathsis on the fae!) Their collection A Chimerical World: Tales of the Seelie Court proved to be one of my most beloved anthologies read to date. Yet, whilst I broached a discussion question during a recent #CreatureChat, I noticed there was an absence of response on the merits of where the fae originated in fiction and of whom the grandfathers / grandmothers of this niche of Fantasy originally sourced their ideas or picked up ideas through their research. I realise a heap of story craft is interwoven into our imaginations, but writers are curious creatures, and we do like to research as much as we love to create from scratch. I suppose you could say I’m on a self-motivated journey into the world of the fae. I seek to understand their nature and to understand their world(s). I have several books earmarked off in mind to read of the fae, but I was hoping perhaps someone out there might have recommendations for me as to help paint the path towards knowing how they started to emerge into popular Speculative Fiction and how they become as established as they are for a muse. I do not oft talk about my own writerly pursuits as I am living in the season of a book blogger whose an avid reader giddy happy for discovering new genres, new stories, and new authors. However, my heart always had a special place for SFF due to the enormity of freedom on where you could take a story. You can lead your reader down a road of science grounded realism or you can jump the rails directly into the unknown and guide a reader into a world you’ve fully realised and created yourself. It’s such a lovely branch of literature because of the incredible breadth of choice and selection. The very first manuscript I conceived into being was science fiction based on science fact, however, the more I read Fantasy, whilst being tempted by the ‘cosier’ and ‘psychological’ side of Horror, I’m starting to spread my wings on where my own fiction might reside. I read across the full spectrum of literature from Major Trade to Indies, with a special appreciation and fondness for Indies as I grew up supporting a wicked awesome Indie bookshoppe who first introduced me to ‘local authors’ and ‘local author events’. As I step back through the doors of SFF, I’m settling inside a heap of lovelies from Indie writers moreso than Major Trade, but this is partially due to the fact my own personal collection of stories are ferreted out into boxes and are not accessible to be read. Hence why I rely on my local public library for ILL’ing (inter-library loan) and borrowing through our local catalogue of SFF. reading off the printed texture of a page — I’m one bonefide happy reader! Meet Robin Goodfellow as you've never seen him before, watch damsels in distress rescue themselves, get swept away with the selkies and enjoy tales of hobs, green men, pixies and phookas. One thing is for certain, these are not your grandmother’s fairy tales. Fairies have been both mischievous and malignant creatures throughout history. They’ve dwelt in forests, collected teeth or crafted shoes. Fae is full of stories that honor that rich history while exploring new and interesting takes on the fair folk from castles to computer technologies to modern midwifing, the Old World to Indianapolis. Fae bridges traditional and modern styles, from the familiar feeling of a good old-fashioned fairy tale to urban fantasy and horror with a fae twist. This anthology covers a vast swath of the fairy story spectrum, making the old new and exploring lush settings with beautiful prose and complex characters. “Faerie Knight” by Sidney Blaylock, Jr.
Rhonda Parrish is a master procrastinator and nap connoisseur but despite that she somehow manages a full professional life. She has been the publisher and editor-in-chief of Niteblade Magazine for over five years now (which is like 25 years in internet time) and is the editor of the forthcoming benefit anthology, Metastasis. In addition, Rhonda is a writer whose work has been included or is forthcoming in dozens of publications including Tesseracts 17: Speculating Canada from Coast to Coast and Imaginarium: The Best Canadian Speculative Writing. Starting July 1, 2014, Rhonda Parrish will be reading for Corvidae and Scarecrow, two new anthologies in the same series as Fae. Like Fae, each of these new anthologies will focus on a single construct treated in many varied and enthralling ways by new speculative fiction short stories. The twin anthologies also present a unique opportunity: to create a conversation between the two volumes, between the crows and the straw-men, between the bird tales of Corvidae and the totem tales of Scarecrow. Anthologies to be published in 2015. More information at WorldWeaverPress.com.